OLD PARKED CARS. : 1984 Lincoln Century Hearse by Eagle. 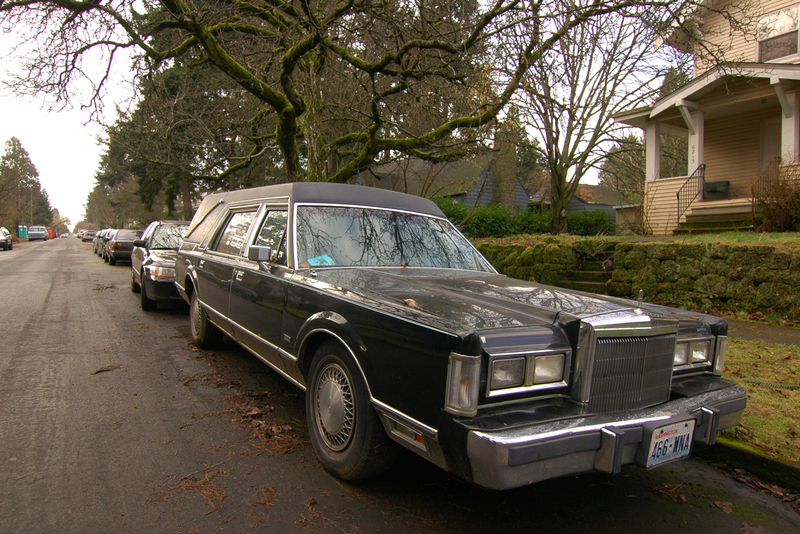 1984 Lincoln Century Hearse by Eagle. Design is as stiff as the contents. Form follows function, I suppose. 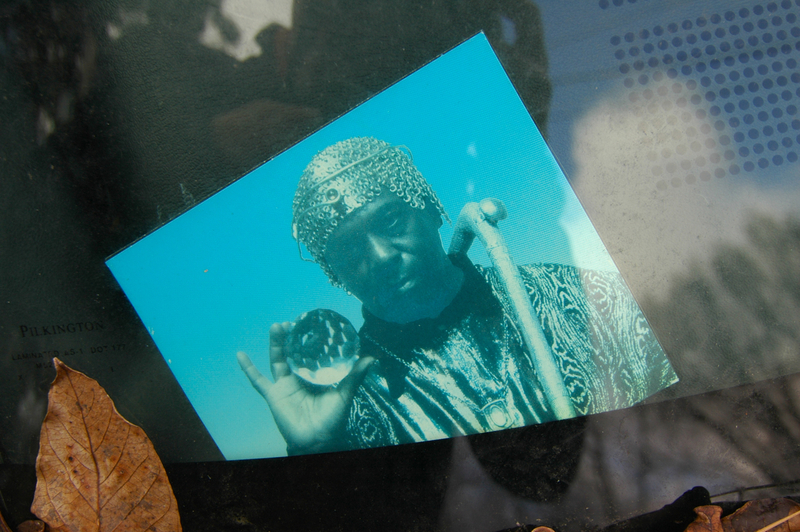 Somehow the photo of Sun Ra is apropos. The final ride. 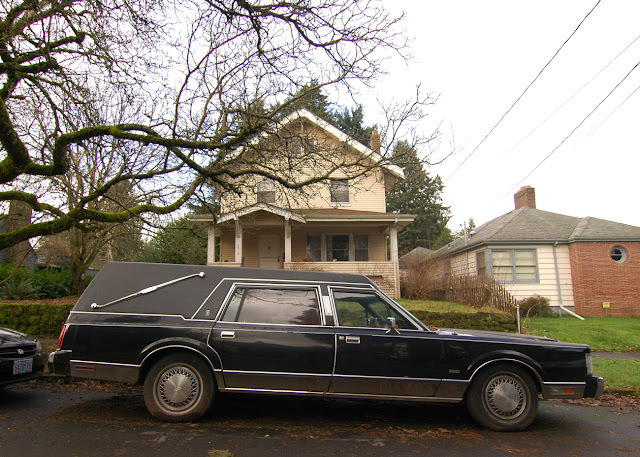 What a way to go. 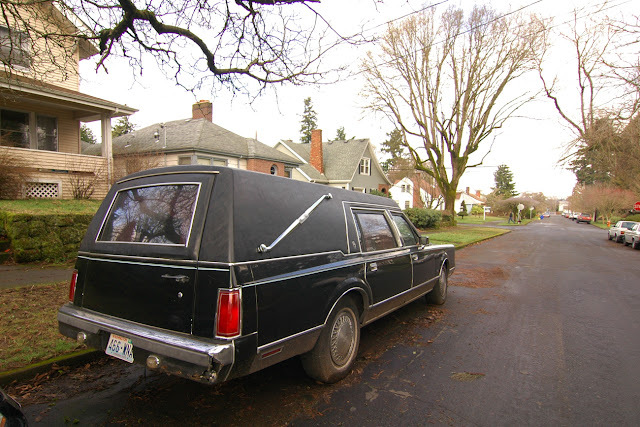 That is one stylish last ride. Never seen one of these! FYI: The thinner logo on the hood ornament and hubcaps is the 1988 and later style.